After a successful season at the 2011 New Zealand Fringe Festival, this colorful and compelling one woman show is back on the stage. Co-created by two of her granddaughters, one of whom portrays Gloria, this truly is a family affair which for me, made this piece even more poignant. GLORIA celebrates the life of Gloria Sanford during her World War II years and the sequence of events that led her to making headlines when she got off the ship that was supposed to reunite her and her son with her American GI husband. Using a variety of props and with the help of some very clever lighting design, Gloria recounts the memories of her past and the struggles she faced during this time. Visually and stylistically this production is extremely engaging and fascinating; it’s evident how much thought has gone in to the set and sound design as it is very authentic to the time. Told through a fantastical lens, an ordinary domestic setting springs to life through a vivid blend of swing music, dance and physical theatre. Everyday items become vessels that transport us back to the 1940s to key moments in Gloria’s life. Amy Waller is an effortless storyteller with a captivating stage presence. It is such a courageous thing to do, to play someone that you know let alone someone that is so close to your heart and I felt she did an outstanding job. By the end of the play you will go away feeling you’ve not only traveled back in time but that you’ve made a new friend along the way. 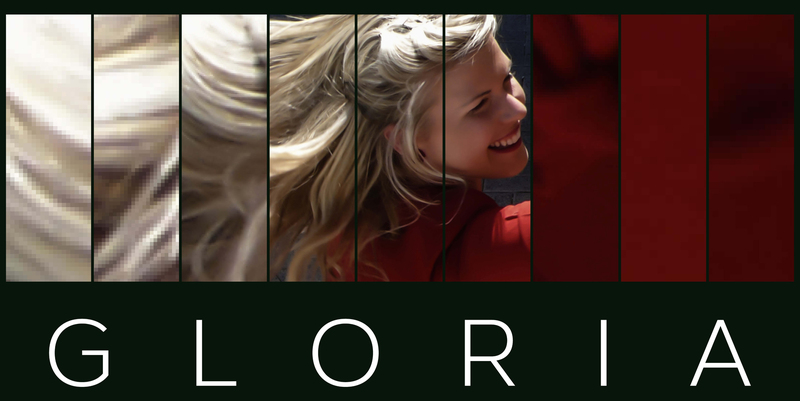 GLORIA is a well captured snapshot of New Zealand history and a superbly crafted portrait of one war bride’s exhilarating journey. It is wonderfully imaginative, beautifully nostalgic and an incredibly heartwarming theatrical tribute – a truly inspiring story. The Whimsical Banana rates GLORIA: 5/5 bananas! GLORIA is produced by The Vintage Collective and will be at the Centrestage Theatre in Orewa until July 4th. For more information and to book tickets, click here and for some handy directions to the theatre click here. This review can also be viewed on Keeping Up With NZ. The Laughing Kiwi will be contributing reviews from Australia, specifically the Melbourne comedy circuit. He is a NZ born comedy fanatic, who has immersed himself in the NZ Comedy Festival annually since 2010, amassing views of hundreds of shows, and reviewing independently over eighty shows. In the latter half of 2013 he moved to Australia and here he plans to bring reviews of some of the biggest, and smallest, names in the local comedy scene. Hit the button below to be notified via email when I publish a review - go on then, you know you want to! I need a little Whimsy in my life!